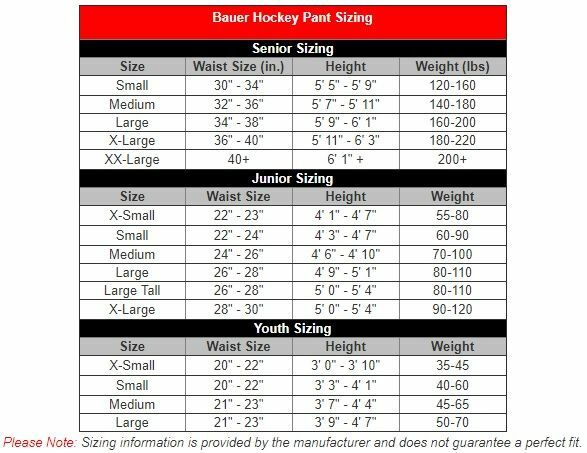 The Bauer Nexus N7000 hockey pant is the base model in the latest Nexus pant line that features a classic construction to offer a wide, volume fit. 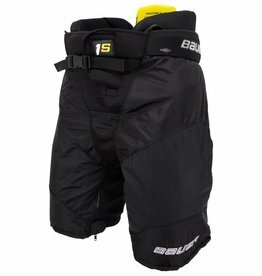 This pant was designed to promote mobility and maximum coverage and protection at a fraction of the cost. 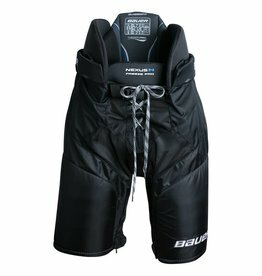 Starting with the thigh guard, a 2-piece ergonomic PE plastic guard is used and has been made to comfortably wrap around the thighs. Moving on up to the hip, Bauer kept it simple with an effective molded dome construction PE cap that offers great protection. 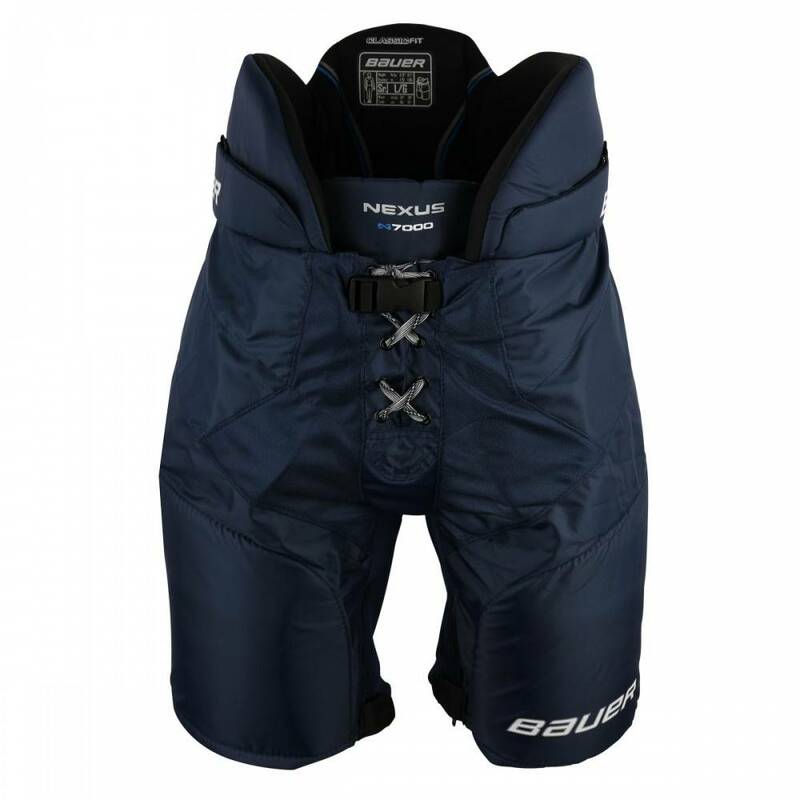 To reduce overall weight, the spine guard has been outfitted with high density foam and an added plastic insert to really protect from falls on the ice or collisions with other players. 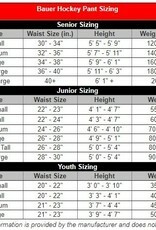 The kidneys feature mid-density foam with an additional PE insert as a reinforcement to the upper part of the pant. To keep everything contained, an abrasion resistant 400 Denier nylon outer shell holds it all together. For comfort, the N7000 is lined with a hydrophobic mesh liner. 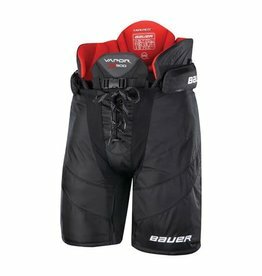 This lining material is moisture wicking keeping these pads dry to keep the player feeling cool and lightweight during game play. 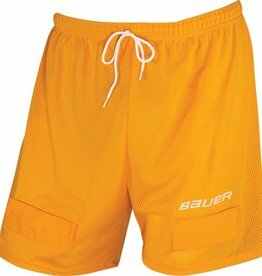 For easy attachment these pants use a mid-density padded belt system and come with a hockey lace to really complete that traditional look. 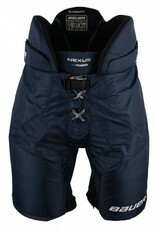 For a great pant made to offer coverage and great protection, check out the Bauer Nexus N7000 hockey pants. 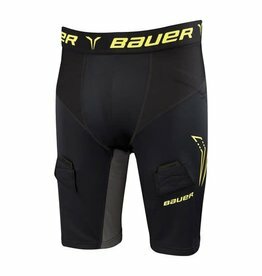 Bauer compression shorts - Premium!